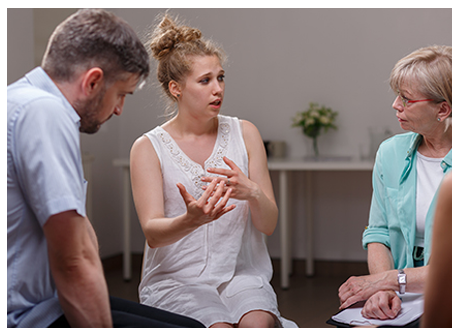 Counseling services are provided for a wide range of problems form simple life adjustments to more serious forms of depression and anxiety as well as drug and alcohol diagnoses. Our therapists work with their clients to design the most effective types of treatment to meet the client’s needs. This can include individual therapy, therapy involving other family members, or therapy in a supportive group with other clients experiencing similar problems. These services are available for children, adolescents, and adults. The emergency service team responds to mental health emergencies in our thirteen county area on a twenty four hour, seven day per week basis. They work closely with area hospitals, local law enforcement, and community service agencies. The toll free number for is 800-356-3035. Mid-South Health Systems has a full time registered pharmacist in Jonesboro on staff that service the mental health medication needs of all our clients in 20 counties. When medications may be indicated for client treatment, our therapists arrange for them to be seen by our staff psychiatrists. These physicians can evaluate the client’s particular needs and, if appropriate, prescribe a medication. The DASEP Specialists provide Pre-Sentence Screening reports to the courts in our area. They make recommendations to the courts concerning the Alcohol Education/Treatment program that a person convicted of DWI/DUI and Minor in Possession of Alcohol should attend. We also provide classes, when Education is the recommendation. Referrals are made to treatment programs and other DASEP programs in Arkansas when the offender is from another part of the state. LEARN MORE.